Our dear friend Jon Yahalom is coming back to Pittsburgh to celebrate the release of his first book, CARING FOR THE PEOPLE OF THE CLOUDS: Aging and Dementia in Oaxaca. Are you a fan of clinical psychology? Medical anthropology? Or shoot, just Jon Yahalom? Come on out, it’s going to be a party. Our very favorite day of the year, when we get to celebrate the best business in the world (the business of books). We’ll have tons of special book swag (pins! totes! onesies! limited editions! ), a raffle, local authors, snacks, and MUCH more. Put this on your calendar—it’s going to be one for the books. New York Times bestselling author Celeste Ng returns to Pittsburgh--her hometown!--for the paperback release of Little Fires Everywhere. This is a ticketed event. Click here for ticketing/event details! Please note that this month’s meeting will be the third Tuesday of the month instead of Thursday. Baby animals don't play with blocks. They don't have favorite colors. And they don't learn any songs unless they're for self-defense. The first few weeks of your favorite animal's life are an adorable fight for survival, full of strange foods, hungry predators, and complicated smells. You'll laugh, you'll cry, and you'll have another reason to hug the next baby animal you see. In the compulsively readable Bright Burning Stars, Pittsburgher and debut author A. K. Small pens a propulsive, heartfelt story about girls at their physical and emotional extremes, the gutting power of first love, and what it means to fight for your dreams. Come help us celebrate! Feminist Book Club was on a two month hiatus, and we return this summer with a bang! We’ve been itching to discuss this beautifully told, gut-wrenching book since we read it as a galley. Based on real events, Miriam Toews’ much-anticipated new novel is about a group of Mennonite women who have been repeatedly assaulted by men in their isolated colony, and told that they were being punished by demons for their sins. The story is told through a series of conversations in a hay loft, where, after the truth about their attackers is discovered, the women meet in secret to discuss their options. Anjali Sachdeva’s short story collection, All the Names They Used for God, was named a Best Book of 2018 by NPR, Refinery 29, and BookRiot, longlisted for the Story Prize, and chosen as the 2018 Fiction Book of the Year by the Reading Women podcast. Sachdeva is a graduate of the Iowa Writers’ Workshop and teaches at the University of Pittsburgh and in the MFA program at Randolph College. "A gripping, sinister fable!" --MARGARET ATWOOD, via Twitter. Longlisted for the Man Booker Prize, this is a dystopic feminist revenge fantasy about three sisters on an isolated island, raised to fear men. 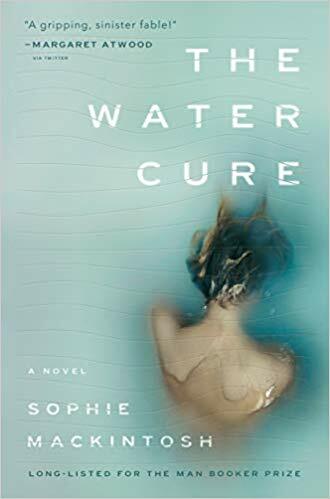 A haunting, riveting debut about the capacity for violence and the potency of female desire, The Water Cure both devastates and astonishes as it reflects our own world back at us. * Book club picks are 15% off. Caroline Carlson has a new book! The Pittsburgh writer’s newest is The Door at the End of the World, an otherworldly middle grade story perfect for fans of A Wrinkle in Time and Stranger Things. Caroline’s previous novels include the Very Nearly Honorable League of Pirates series and the Agatha Award nominee The World’s Greatest Detective. Please join us for the launch of TWO chapbooks—BLOODFISH, by Jennifer Jackson Berry, and FEED by Emily Mohn-Slate, co-winners of the 2018 Keystone Chapbook Prize offered by Seven Kitchen Press! Chatham MFA readings. More info to come. Help us celebrate bestselling author and Pittsburgher Stewart O’Nan’s latest work! Henry, Himself tells the poignant story of a member of the greatest generation as he looks back on the loves and losses of his past, and comes to treasure the present anew. Stewart will be joined in conversation with writer Jane McCafferty. Pittsburgher Lauren Burdette’s book, This Life That Is Ours, offers 40 gentle meditations on the spiritual journey of motherhood. These practical, soul-affirming meditations nurture a mother's heart and spiritual life in a season fraught with exhaustion and loss of identity. Through the lens of Burdette's real-life stories, the reader is invited to ponder her experience and to contemplate where God might be present. Pittsburgh native Ian Johnson’s memoir is part hoops history, part story of one person’s attempt to find peace with a game he so desperately wanted to love. The Bounce and The Echo is a story for every athlete who has ever picked up a ball and wondered why, and a book for anyone who has ever wanted to know what happens to a star athlete once the spotlight fades away. We’re stoked to pair up with BELLETRIST as their Indie Bookstore of the Month. Join your fellow Belles and Beaus for an in-store event to discuss this month’s pick: GINGERBREAD. Purchase in our shop with code BELLE20 for 20% off! Calling all Mr. Rogers fans: this one’s for you. As every Pittsburgher knows, Fred Rogers was beloved for bringing his warm, deeply human message to millions of children on Mister Rogers’ Neighborhood for over 30 years. The television show, along with its spinoff Daniel Tiger’s Neighborhood, is still one of the few programs that creates a safe haven for children to explore their emotions and discover the world around them. For the first time ever, the lyrics from Fred Rogers' inimitable songs are collected in A Beautiful Day in the Neighborhood: The Poetry of Mister Rogers, a children's book illustrated by Luke Flowers that showcases the thoughtful values for which Mister Rogers is best known. Luke Flowers has illustrated over 42 children’s books, including his author/illustrator debut series Moby Shinobi, a blockbuster Scholastic Easy Reader series. Luke will be doing a special early evening story time at White Whale--discussing Mr. Rogers’ values and impact, reading from the book, and drawing. Bring the whole family! Mike Young's on his Blue Turn tour—featuring poems and songs—and will be joined by poets Atom Atkinson and Dani Janae. The lifelong activist, academic, and writer talks nonviolent direct action, and how we can create enduring change. Free and open to the public. Touring poet Abby Chabitnoy joins Pittsburghers Michelle Gil-Montero and Lauren Shapiro for a reading and book signing! Why There Are Words Pittsburgh is pleased to present—ROOTS, a special Friday night reading on March 8th, 2019. Readers are Daniela Buccilli, Barbara Edelman, Kimberly Kruge, and Wendy Scott. Octavia Butler’s masterful novel bends time to explore racism and sexism today and during the antebellum South. A modern classic that is more relevant now than ever before. *All proceeds from Feminist Book Club support Planned Parenthood. Walsh's debut collection of poetry explores the impacts of extractive industries on rural communities and the environment, particularly in Appalachia, while also celebrating the persistent beauty of the natural world and human love. Ryan will be in conversation with West Virginia writer and essayist Ann Pancake! 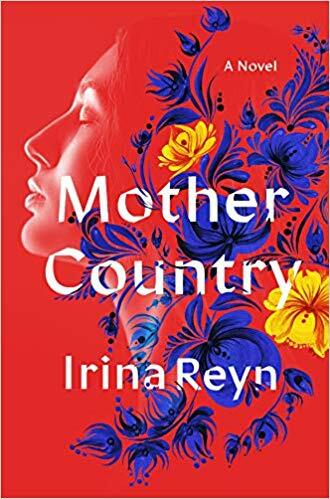 Award-winning author Irina Reyn explores what it means to be a mother in a world where you can't be with your child. Irina will be in conversation with Pittsburgh writer Clare Beams. Why There Are Words is pleased to announce—Mammo/graphia: Writers on Breast Cancer. Join readers Theresa Brown, Sharon Fagan McDermott, Kristin Kovacic, Rev. Dr. Moni McIntyre, and Judith Sanders. Third Thursday Book Club selections are 15% off. Join Pittsburgh authors Samantha L. Barrett and Jamie Lackey as they read short fantasy and sci-fi from Cities of Dust, Planes of Light, as well as other stories. We’re thrilled to be selling books at PublicSource’s event with DeRay Mckesson; civil rights activist, community organizer, and the host of Crooked Media’s award-winning podcast, Pod Save the People. This event is ticketed. * All proceeds from Feminist Book Club support Planned Parenthood. Authors Jane Bernstein and Charlotte Glynn read from their new children’s book. Based on a true story, Gina From Siberia addresses displacement, family, and the meaning of home. All little minnows welcome! Author Anastasia Higginbotham reads her children’s book Not My Idea: A Book About Whiteness , a picture book that invites white children and parents to become curious about racism, accept that it's real, and cultivate justice. All little minnows welcome! NAMED ONE OF SCHOOL LIBRARY JOURNAL'S BEST BOOKS OF 2018. What happens when fossil fuels run out? How do communities and cultures survive? Told through interviews and photographs collected during the making of the documentary film After Coal, this book considers the resonances between Appalachia and Wales in the realms of labor, environment, and movements for social justice. This event is free and will be moderated by Angela Wiley, producer of the After Coal film. Local reading series Laser Cat returns to celebrate Kayla’s K-Day! Readers include Damian Dressick, Deena November, Kara Knickerbocker and anyone who wants to brave an open mic. Come help us celebrate! A smart, data-driven quirky romance tale in the vein of The Rosie Project, by debut author Helen Hoang. All are welcome! We switch off fiction and non-fiction every other month. This month we’re reading VOX, a dystopian story that’s been likened to The Handmaid’s Tale. It imagines a future where women are only allowed to speak 100 words per day (most adults currently average about 16,000). TImely, no? *Since 11/6 is election night, this meeting has been moved to 10/30. Proceeds benefit Planned Parenthood. Thomas Page McBee’s Lambda award-winning memoir, Man Alive, was named a best book of 2014 by NPR Books, BuzzFeed, Kirkus, and Publisher's Weekly. His groundbreaking new book, Amateur: A True Story About What Makes a Man, is a reported memoir about learning how to box—and eventually become the first trans man to fight in Madison Square Garden—in order to understand masculinity’s tie to violence. A wide-ranging exploration of gender in our society, Amateur is ultimately a story of hope, as McBee traces a new way forward, a new kind of masculinity, inside the ring and outside of it. Join us for a reading, discussion, Q&A, and book signing! California poets Marsha de la O and Phil Taggart join Pittsburgh poet Toi Derricotte for a star-studded reading and book signing! Event is free and open to the public.